This is a fair trade social business that focuses on the creation of businesses that can be sustained for traditional artisans in Africa. It is based in Accra, Ghana. This e-commerce store has been trading online for more than 18 years now. 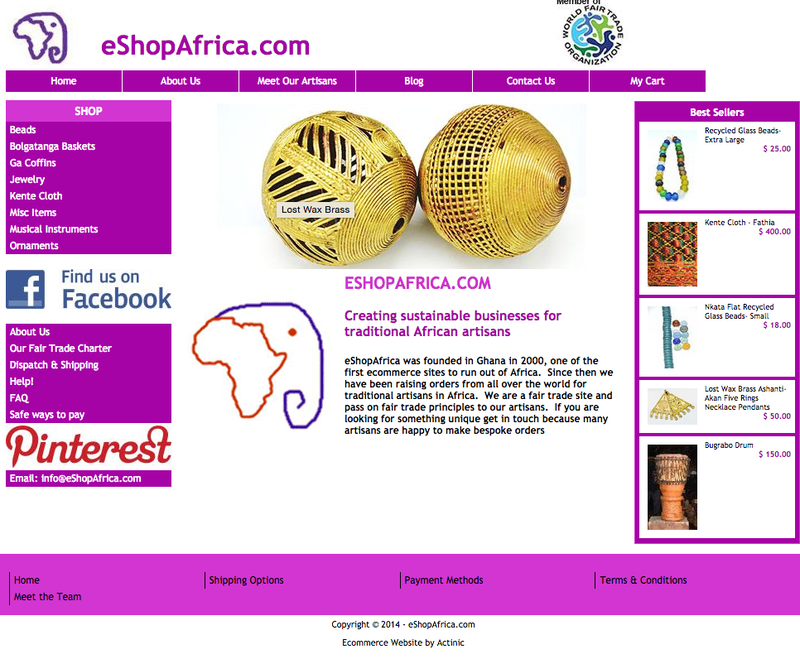 It was one of the very first e-commerce sites in Africa. It parades itself as a company that invests in artisans, aiding them to get new markets and grow their businesses. Anything can be bought and sold on this website. To get yourself the best deals, you’ll have to be on the lookout for the ones involving people who live in your city or street, so it’s safe to say that with this site, buying and selling locally is vital. Just select your region and you’ll have access to some of the very best second hand items in the whole of Ghana. Be it a car, mobile phone, house, computer, your sales and purchase are done efficiently and effectively. Their aim is to help you locate that car you dream about. They also ensure their customers are updated on the latest on anything vehicles from time to time, and after that, focus on putting in contact with professionals and individuals sellers. They do everything they can to provide the correct information you need for each vehicle for you make the right decision when the time comes. Their websites states “Our role is to help you find the right car and make the link with the owner. What they do on this site is, aid you to find your ideal home, land or commercial property. They do not joke when it comes to dishing out information that will be beneficial to their customers to make smart decisions. Each property is listed so anyone interested is allowed to go through it in detail and decide if its the one to go for or not. It has more than 400 properties listed as i type this. These properties are from top quality agencies and developers like Orel, Pelican Properties and Broll Ghana and just the regular individuals as well. Lamudi is also great at connecting customers and agents. This online store had to make the list. Established in May 2012, this is Nigeria’s Amazon. It proved its popularity in a country as famous as Ghana when Amazon’s Alexa named it the most visited e-commerce website in West Africa. Every household need is on this website. Ranging from Phones to Electronics, Laptops, Fashion items, Dresses e.t.c. There is always something to capture your attention and make you spend some money whenever you visit. The favorite online store did not go with the norm, instead it provides an information-filled environment for buyers and sellers to discuss and do business. On the platform, sellers can design and post ads under the specified categories it belongs. This is an e-commerce site that provides customers with amazing ways to receive discounts as they find out about new places all across Accra. Restaurants, spas, travel, entertainment & electronics is what Tisu is focusing on. There are prices that are simply too good to be true on show. Ringier Ghana owns Tisu and its parent company has major offices in top countries all over the world. This store provides lots of electronics, home appliances, items of fashion etc, at high and affordable prices. Right about now, they offer delivery service to every address in Accra and Tema. Plans are also underway to expand its delivery coverage to farther places anytime soon. Payment is comfortable with their site as it uses credit/debit card payments. Not as popular as the biggest online stores out there but they are getting there. Established in 2012 by Africa Internet Group, it is a marketplace for everyone to sell their products online. When buying and selling on the site, you get to deal with people from your city and from all over Ghana. You also get to purchase and sell amazing things online. Buying or selling of amazing goods from whatever category you seek, such as: Fashion, Electronics, Jewelry, Accessories, Books and millions is the order of the day on Kaymu. There you have it. The list of top E-commerce online shopping sites in Ghana. If you feel we missed anyone, feel free to let, us know in the comment section below.